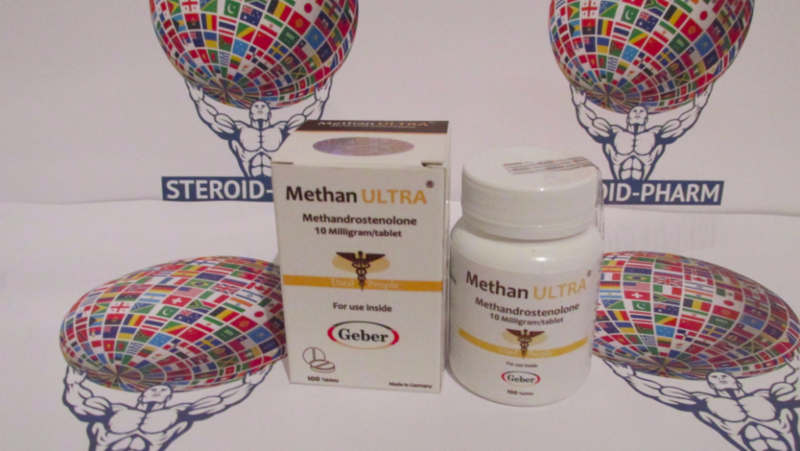 Methan Ultra, a known anabolic steroid - methandrostenolone. 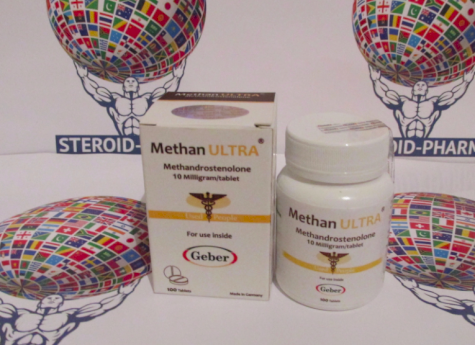 At the moment, Methane Ultra can be bought exclusively in the online pharmacy, on methandrostenolone the price is one of their lowest relative to other anabolic steroids, is available on sale without a prescription. The main effect on which you should pay attention is the rapid development of muscle mass, for a few weeks of admission, the athlete literally inflates. This is due to the increased synthesis of the protein structure of the muscles and the acceleration of the regeneration of muscle fibers, in other words, the normal processes of the body are working at such a speed that they can build up to 12 kg of muscle in a few weeks. Increases appetite, aggression during training, sometimes nervousness. Fat can be slightly burned, but with excessive doses, there can be a back reaction, fat is stored by the female type. Methane Ultra effectively strengthens the bone system, retains calcium in the bones, which has previously been considered the best way to treat osteoporosis. Delays nitrogen in the muscles, increases the number of red blood cells thereby improving oxygen circulation in muscles, which in turn improves the results, as well as rapid recovery after heavy training. The optimal dose for the athlete is in the range of 20-50 mg per day. The daily dose is divided into several doses, the best time for consuming methandrostenolone is in the morning (immediately after waking), at lunchtime, and in the after-dinner time. It is not recommended to take the drug after 18:00 as it can provoke insomnia. Tablets are taken on an empty stomach before eating. For optimal work of the drug in the body, it is necessary to select an individual daily dosage and determine the tolerability of the preparation by the body, to do this, start the course of methandrostenolone with a minimum dose of 15 mg, within a week increase the dose to 20-30 mg. The duration of the course is 6-8 weeks, exceeding the deadlines does not make sense. For best results, methandrostenolone is often combined with injectable steroids similar to it. It can be testosterone enanthate, nandrolone decanoate, sustanon are those steroids that are able to maximize the volume of muscle mass and in combination can give the athlete phenomenal results. There are also dry weight courses in which methane is also used as a key steroid, in which case it is possible to connect Winstrol, Primobolan or Trenbolone Acetate to it. The main side effects of methane are from a high level of aromatization to estrogen, it can be increased accumulation of water in the cells that can cause not only edema, but also an increase in muscle volume. Someone likes it, but someone wants to be smaller, but more dry. The hydration of the muscle tissue, as well as the development of gynecomastia, can easily be eliminated by the connection of aromatase inhibitors on the course, it can be Anastrozole. However, it must be understood that if you reduce the level of estrogen to a minimum, the results will be an order of magnitude lower, however this is the best way to protect against those who are paranoid afraid of side effects.